CODE: SP 777 GTR SLK. 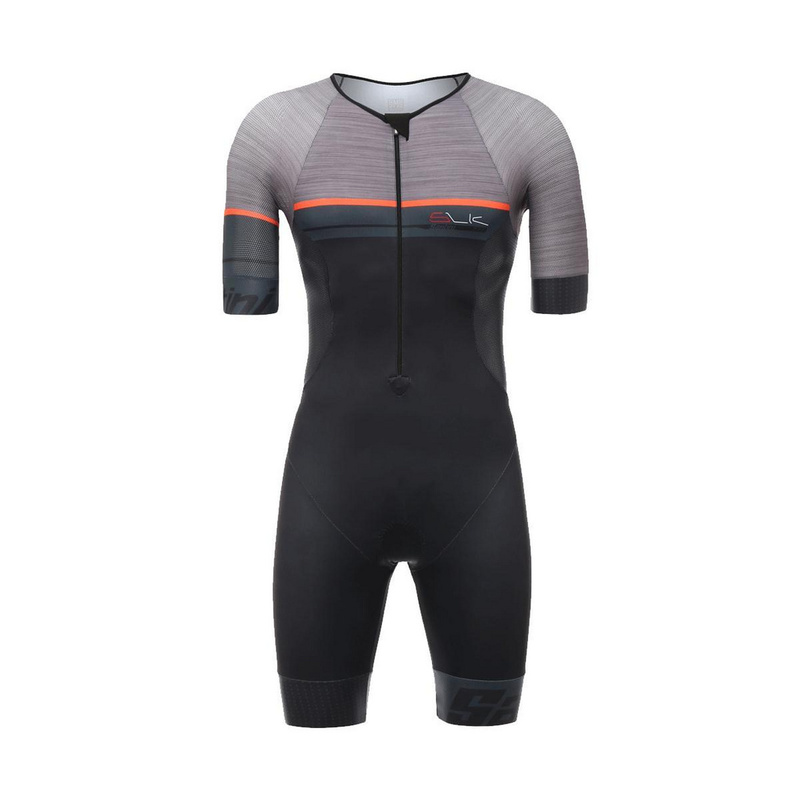 Fit – The Sleek 3.0 trisuit is anatomically cut, constructed with the exclusive Acquazero light fabric by Sitip with elasticated mesh inserts on sleeves and sides for better ventilation. Front zip with cam lock allows great fit and comfort. 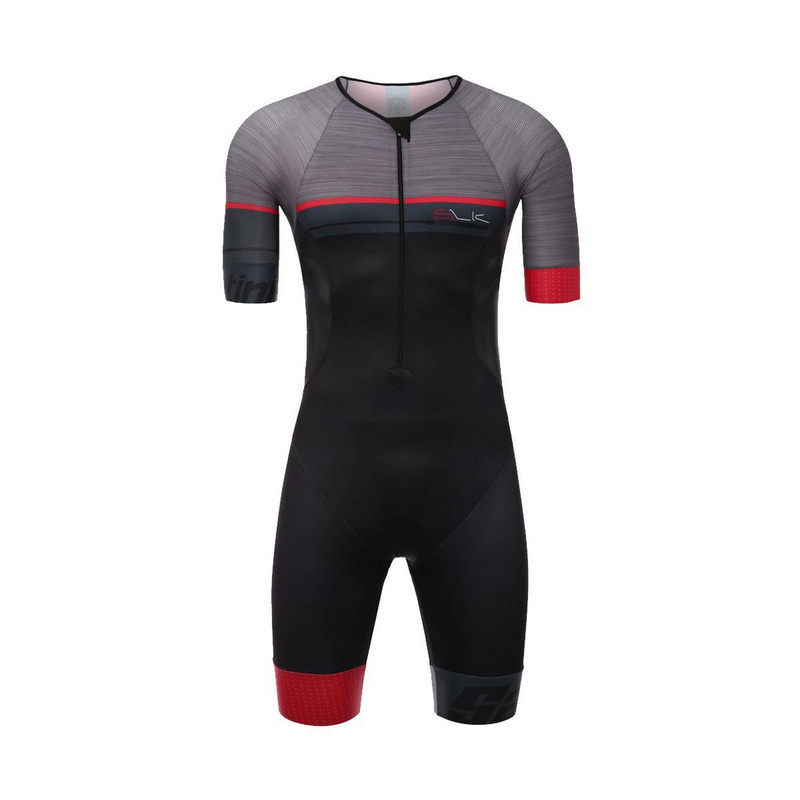 Performance – Extremely fast drying for improved bike performance. Lightweight, UVA and UVB rays resistant and completely breathable to keep you cool during the run. 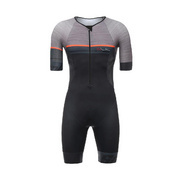 Raw cut, anti-sliding elasticated arm and leg cuffs cover the muscles like a second skin. Anti-abrasion stitching avoids discomfort. Special invisible pockets with side opening for gels or energy bars. 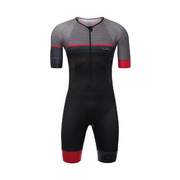 Comfort – The GTR chamois has a silicone gel core with strong anti-shock properties, covered with a thin fabric shield. 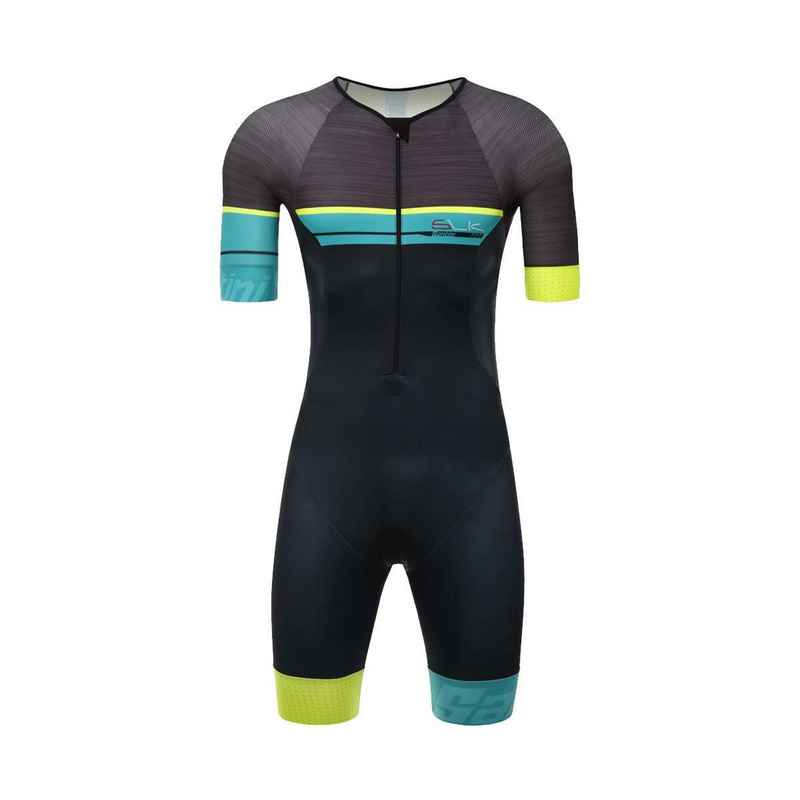 It weighs just 42g and doesn’t absorb water – so it doesn’t grow in dimension or weight during the swim or cause irritation in the ride. Plus an antibacterial and anti-irritation microfibre layer in contact with the skin that ensures maximum comfort on the saddle, even for ultra-endurance events. Durability – We select only the highest quality European fabrics. Made in Italy by our highly skilled production staff. To ensure a longer life of the garment we suggest low temperature machine wash (30 degrees) with mild detergent, no conditioner, no tumble dry. The Acquazero water-repellent treatment is guaranteed at 100% for 80 washes.